1.5.1 Summertime Dead Period: All member schools shall establish a summertime dead period for all MSHSAA-sponsored activities which meets the requirements listed below. 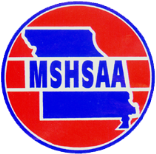 1.5.2 Definition of the Summertime Dead Period: A period of defined length in which no contact takes place between school coaches/directors of MSHSAA-sponsored activities and students enrolled in the member school, or who will be enrolled in the member school during the next school year. Further, during the dead period school facilities are not utilized by enrolled students in connection with any sport or activity governed by MSHSAA. The dead period is a “no school activities time”; no open gyms, competitions, practices, conditioning, weight training; no activity-related functions or fundraisers, camps or clinics at school facilities or sponsored elsewhere by the school; no coaches/directors or students may have planned contact other than casual, normal community, non-activity contact. It is important for parents, athletes, and coaches to be aware of this dead period and that at no time are students allowed to use school facilities, be coached by, or involve the school during this time. High School sports of girls golf, softball, cross country, cheer, and football will begin on Monday, August 6. Athletes are reminded that they must have a completed sports physical on file with the Athletic Office before they are allowed to practice.